Welcome back to the Chops blog series on mallet FAQs (frequently asked questions). Today we’re going to answer one of the most common questions we receive: what mallets does my beginning band student need? When your student enrolls in band as a percussionist, their director will have a requirement for the sticks and mallets they will need. These requirements normally include synthetic mallets for bells and xylophone, drum sticks and a stick bag. They may also include yarn mallets for marimba and vibraphone. Mallets for bells (also known as glockenspiel) have a birch or rattan shaft and a synthetic head, usually made of plastic or rubber. For beginners, birch shaft mallets would be recommended. Many brands and models are available, but we recommend the following choices. 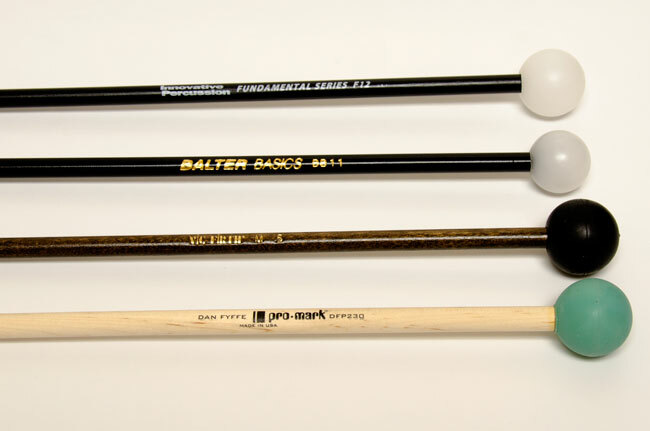 These are also the standard mallets available in beginner stick/mallet prepacks. 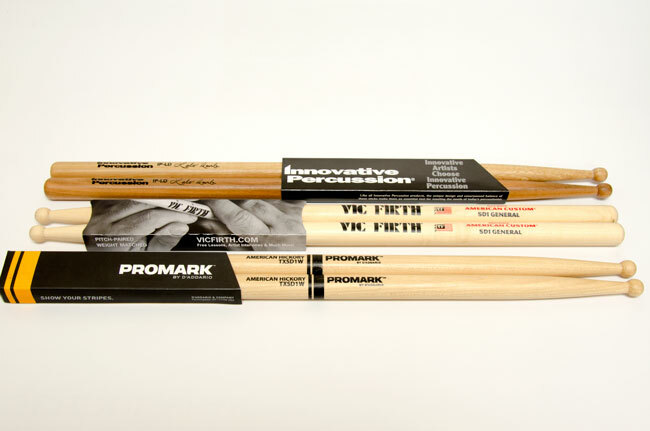 Mallets for marimba and vibraphone have a birch or rattan shaft and a yarn or cord head. 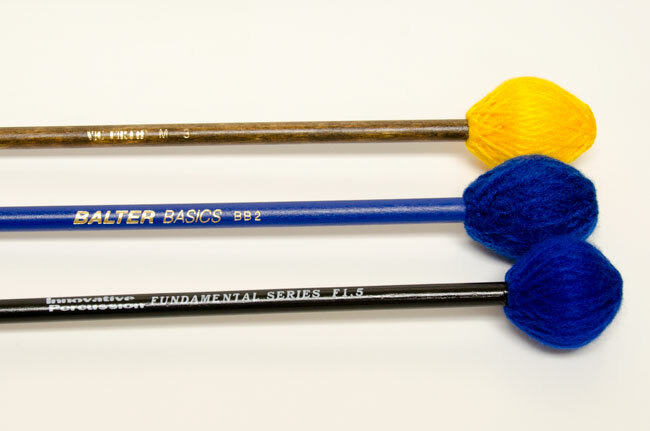 In addition to the marimba and vibraphone, these mallets can be used on other instruments such as suspended cymbals. Again, many brands and models are available, but we recommend the following yarn models for beginners. Those models are pictured here. Mallet and stick choices are a matter of personal choice, and every director will have a different brand and model preference. Always check with them first before making a purchase. Please contact us for our recommendations or assistance finding mallets. As your student progresses from a beginner to an intermediate and advanced percussionist their mallet collection should grow as well. Stay tuned, next time we’ll be discussing the mallets an intermediate percussionist should have.